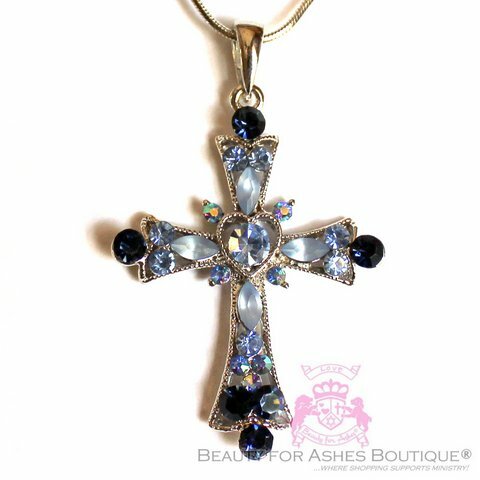 This gorgeous cross pendant shows Austrian crystals in blue, sky blue, and sapphire blue with blue aurora borealis crystals. 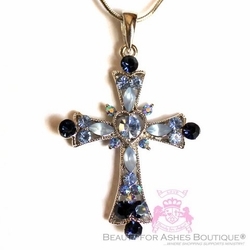 Cross measures 2" x 1 3/8" . Snake chain is 16" plus a 3" extension in Silvertone Rhodium!